David Hirvela completed his BA in English at the University of Michigan in Ann Arbor in 1963. His teaching career began at Franklin High School in Livonia, Michigan. Continuing his life long love of learning, he completed his MA in speech at the University of Michigan in 1967. He received his Ph.D. in theatre in 1971 from the University of Wisconsin. During his graduate years in Madison, he performed frequently with the Wisconsin Players and Madison Repertory Theatre, and recorded performances for Radio Nederlander and National Public Radio's Earplay. His most treasured UW production was Chekov's The Three Sisters under the distinguished direction of Margaret Webster. He was assistant professor of theatre at the University of Cincinnati from 1971 to 1978. During his years at UC, he served as secretary and president of the Ohio Theatre Alliance and as a board member of the American Theatre Association, and as judge for many of the association festivals. He acted in and directed productions on the Showboat Majestic and was host of Theatre Cincinnati on WGUC FM from1973-78. David was the recipient of a National Endowment for the Humanities grant in 1976. He performed in national television and radio commercials. From 1978 to 1980 he was artistic and managing director of the Madison Repertory Theatre, where he acted, stage directed and oversaw the company's move to its new home in the Madison Civic Center. He was a board member and vice president of the Dane County Arts Council. For the academic year 1980-81, David was Chairman of the theatre department at Central Michigan University, at Mount Pleasant. 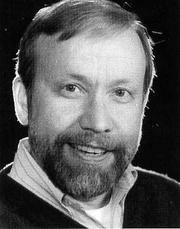 From 1981 to 1992, David was associate professor of theatre at Iowa State University. He taught acted in and directed theatre productions and served as professor-in-charge of the department of theater. As Director of Theatre for 10 years he led the theatre program to new levels of excellence and artistic integrity. During his tenure at Iowa State University, he wrote a book on arts appreciation and cultural awareness. He acted in and directed productions with the Colorado Shakespeare Festival, Wisconsin Shakespeare Festival and Actor's Repertory Theatre in Las Vegas, Nevada. He served on panels for the Iowa Arts Council, Association for Theatre in Higher Education, Speech Communication Association, and Mid America Theatre Conference. David was a member and chair of the Ames Commission on the Arts. David was untiringly committed to the highest standards in education and encouraging students and colleagues to pursue their dreams to realization. David was a wonderful guy. I only had contact with him in grade school but he was a lot of fun at the time. He is missed. It's interesting how the mere mention of a name can bring a face directly into your mind, or you can have a total blank, and know you must look at the senior picture in The BLAZER for help!!! Not so at all when the name David Hirvela comes to me. Immediately his face and personality are front and center in my mind. David was smart, personable and gifted. I'm sorry we lost him so young. He had much to share, and I'm sure he did too. I was very fond of David, and I am so sorry that I lost contact with him. We shared a lot of common interests. What a wonderful voice he had! It is uplifting to read about his wonderful rich life. He truly made his passion his profession. How many of us have been so fortunate? It is the quality of the journey, not the length, that counts. Bravo, David.